Posted in Uncategorized, on March 21st, 2019. My friend Kathy’s daughter, Meredith, took these pictures. 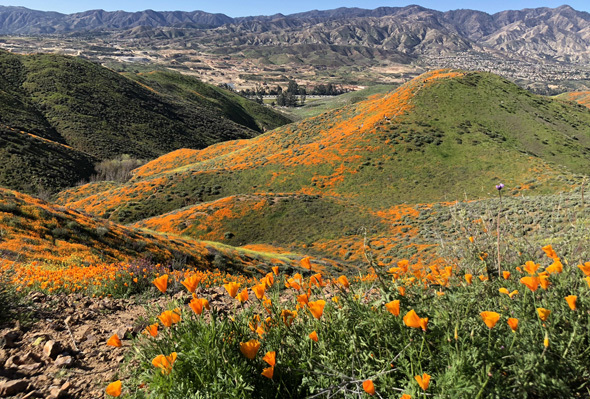 We, here in California, are experiencing what’s called a “super bloom” because of all the rain we’ve had over this winter. Our open spaces everywhere are in full green and grow mode. 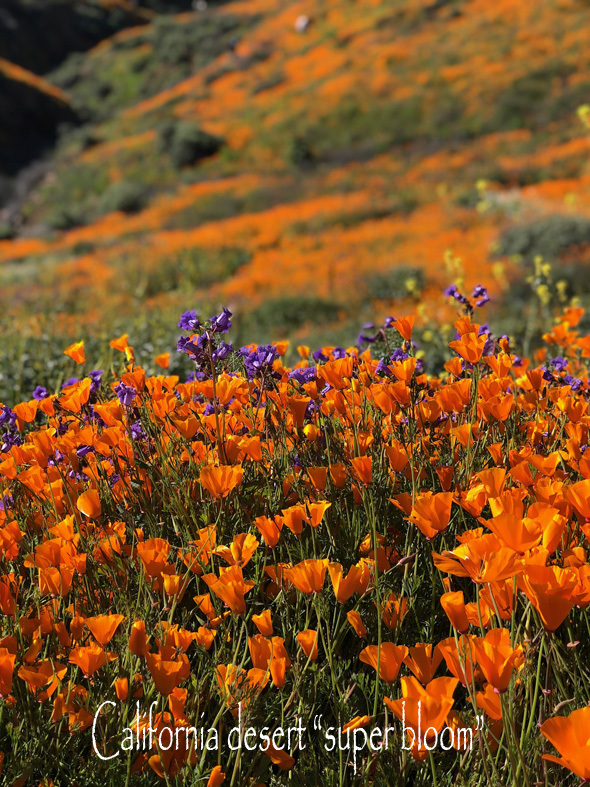 But we have poppies here in California that bloom like weeds. Meredith and a girlfriend went out into the desert earlier this week and took these pictures. Aren’t they just gorgeous? Meredith took dozens of pictures, but I chose two of the best ones. Thanks, Meredith for sending to me so I could post them on the blog. How utterly marvellous! I didn’t know that you’d actually had some rain! I am so pleased for you. thank you for sharing the pictures, they are beautiful. How beautiful! Is this in the area where you live? Just checked it out on Google Earth. What a shame they had to close the area because of the way people were overrunning it. Paragliding sounds right.